Did you know that in all of my 10 year wellness journey, I felt unhealthiest while opening my ultra healthy organic cafe? Shirin Kouros of The Good Life told me that during the launch of her first Californian-style 'feel good' eatery (around the corner from us in Chelsea), she too suffered from extreme fatigue, that caused her to have crazy facial breakouts, gave her a dry mouth, brittle nails and stomach inflammation resulting in weight gain and digestive issues. Although our diets are very different, we both have a lot in common when it comes to the lessons we’ve learned during these stressful times, especially what not to do the second and third time around (and even more for Shirin as she plans to open their 5th location). We also have a lot in common when it comes to the evolving diets of the men we married, our fertility plans, our digestion experiments and struggles and the weird things we both do to tune in to our body’s requests. And for the first time ever, we plan to take this conversation public! Join me, Tanya Maher of Tanya’s and Shirin Kouros of The Good Life, as we share our journeys on balancing entrepreneurship, wellness, relationships and motherhood. Moderated by Claudia Canavan, a renowned food and lifestyle journalist, this talk uncovers the how and why the health movement has changed in 2018 and what the future holds. What is dowsing and what do I use it for? Nope, not excited about my parents being in London one tiny bit. Not excited about this weekend either. 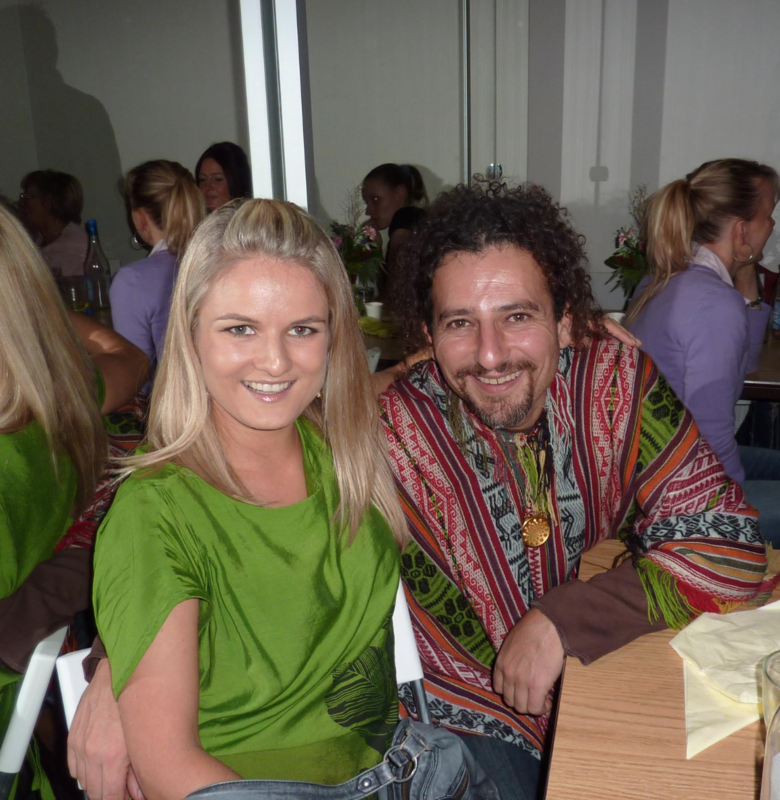 Not about David Wolfe's epic masterclass on Sunday where we are the exclusive caterer. Not about my mum's insanely important workshop on dowsing this Saturday. None. Of. It. Ha! Yeah right. In fact, these are the days I LIVE for! My parents just landed in Heathrow for the first time in 8 years, which makes it all the more special. Then come Saturday, we will make our way to Central Working in Paddington, where my mum's workshop 'Connection with your Higher Self via dowsing' will take place 2-5pm. If you were to google 'dowsing' you will find lots of reference to a couple of L shaped sticks held with your hands and used to locate a water source. "I know very well that many scientists consider dowsing as a type of ancient superstition. According to my conviction this is, however, unjustified. The dowsing rod is a simple instrument which shows the reaction of the human nervous system to certain factors which are unknown to us at this time." In my coaching practice, dowsing helps my clients work out the foods they are sensitive to or whether their stubborn unwanted fat has anything to do with stored childhood memories or perhaps their low energy levels has something to do with the weight of 'evil eyes' brought on by a distant relative. Once we know the cause, we can use the dowsing rod to work out a possible treatment. For my own personal use, dowsing is a tool I utilise for almost anything. I use a dowsing rod to check whether I'm lacking any minerals and which supplement is necessary. I even take it to a health store and use it to check exactly which brand and type of say Magnesium is required for my body. I then use it to check how many capsules, how many times a day and what duration will be required to take those supplements till my system is stabilised. You get the idea. Aside from diet, I can use the dowsing rod to confirm that the home we're looking to move to is 100% suitable for my family and if not 100%, then whether the schooling, future capitals gains, bad energy vortex of the land it's on, bad neighbours or poor construction quality have anything to do with why it's not a suitable home for us. I can check if I need to run Lake to the doctor, if my bloated stomach has anything to do with what I ate or how I combined the ingredients, if it is safe to travel somewhere, if I should go ahead with the business deal,etc etc etc. BTW, it's not as straight forward as a Yes or No answer and the art of formulating a question correctly is something that takes time to master. Even interpreting an answer can be tricky, because the answer can be produced against your intuition and turn out to be merely a suggestion for taking a certain route because it is the only way to teach you an important lesson. This is where my mum, Lena Alekseeva, comes in! And she's not only here this Saturday to help you receive answers to some of your burning spiritual, diet, wellness, relationship or finance related questions, she is here to teach you how to enquire with the Universe at any time at all. She will teach you how to use a dowsing rod, how to tune it to your energy, how to formulate a correct question and how to interpret the answer. As for this Sunday, my parents will be with me in York Hall, Bethnal Green, helping to run the Tanya's organic lunch stall at David Wolfe's masterclass. If you're yet to discover why this nutrition superfood legend is pretty amazing, just google his name or find how many books he's written or note that he has over 11 million fans on Facebook alone. P.S. Don't forget the code TANYASPLUS to receive a discount to David Wolfe's event. My mum is coming to London! Woooo-to-da-hoooooo! Many of you have already experienced the power of Lena Alekseeva's distance work as a spiritual healer. A few of you have already met her in our family home at my Soul Adventures Raw Food & Yoga Retreats. 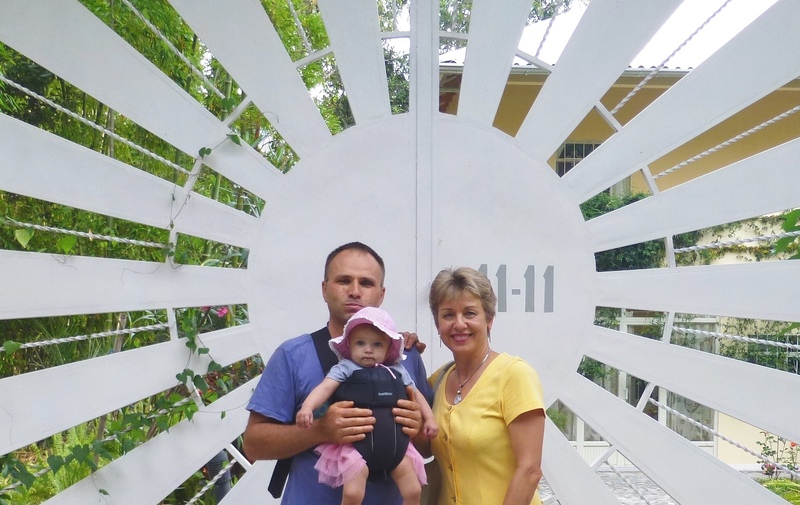 Then you know she is travelling all the way from the magical Andes Mountains, a place known as The Valley of Longevity, or officially Sungate 11:11 in Vilcabamba, Ecuador. The whole trip takes over 40 hours and she's not here for long. This makes it extra special that she wants to spend a day passing on her channelling wisdom to the wonderful souls of London. What: 'Connection with your Higher Self via Dowsing' Workshop. Learn how to use a dowsing rod, the best way to formulate questions about your health, relationships and finances, and especially how not to ask questions. Fee: £40 and includes Tanya's organic raw cheesecake sampling. 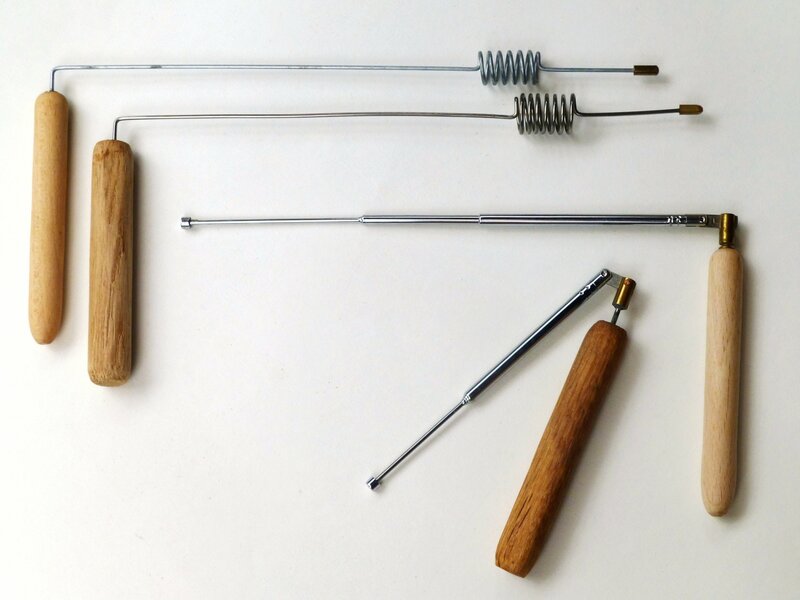 Two different kinds of dowsing rods will also be available to purchase on the day for cash. In more detail: Lena Alekseeva, a Master Teacher of Holistic Spiritual Diagnosis and Correction, is coming to London for the first time in 8 years and hosting a one off class! 1. Media advertising: is it helpful or harmful? 2. What questions can your Higher Self answer? 3. Different sources for getting the answers. 4. Reconnection with the Higher Self. 5. And soooo many more questions! 1. Treat and heal the ego. 2. Clear the mind with different methods. 3. Cleanse of soul, spirit, emotional body and negative energy. 4. Raise the vibrational frequency of the body’s systems, organs, cells, and the emotional structure. 1. Use the dowsing rod for personal questions. 2. Ask about specific foods for your body: Healthy or harmful? 3. Ask about Bacteria and Parasites. 4. Question whether to meet someone or not. Who is your soulmate? 5. Discover what is useful regarding information/ books/ trainings for you and your family, including career paths and financial decision making. 6. Find out whether your soul is in harmony? Why is it not? 7. Work out if there are energy/ emotional blocks in the body. If you think raw food is awesome and you like chocolate, you would've probably, most definitely, certainly, absolutely heard of Pana Chocolate! No matter where I am in the world, I always make sure I sample the raw chocolate on offer and although I’ve tasted some pretty incredible treats, Pana Chocolate is still heading the leaderboard for their perfect combination of taste, texture, flavour, values and love marks. Can you imagine my excitement when I heard that Pana himself (I didn’t know it was a person’s name either- ‘Pana’ sounds like the best raw chocolate in the world to me) is releasing a book AND he’s coming to London from Oz AND he wants to teach us his top recipe secrets AND he wants to do it at Tanya’s!! Well if that’s not enough good news, how about that he is going to run this workshop for you next week, so that you have plenty of time to learn the techniques right in time for the healthiest most delicious Easter! And if all THAT is not enough, you will be the first to get an exclusive sneak peek into how we are progressing for the re-opening of Tanya’s Reinvented, sample everything we demonstrate, be able to purchase a copy of the book for only £15 (or bring yours) and have it signed by the master himself, and go home with 2 x Pana Chocolate bars! What’s included: Step-by-step raw chocolate demo, tasters of our favourites from the book, Q&A with Pana Barbounis, book signing (bring your own or buy a £15 copy on the day) and 2 x Pana Chocolate bars.